Come early on Friday, Saturday, and Sunday evenings and enjoy live music before the show, starting at 7:15. Our partners at The Whitney Center for the Arts have curated this group of top-notch performers to entertain you while you picnic before the 8pm performance of The Tempest. Come early for the best available seating, and enjoy the fresh air! 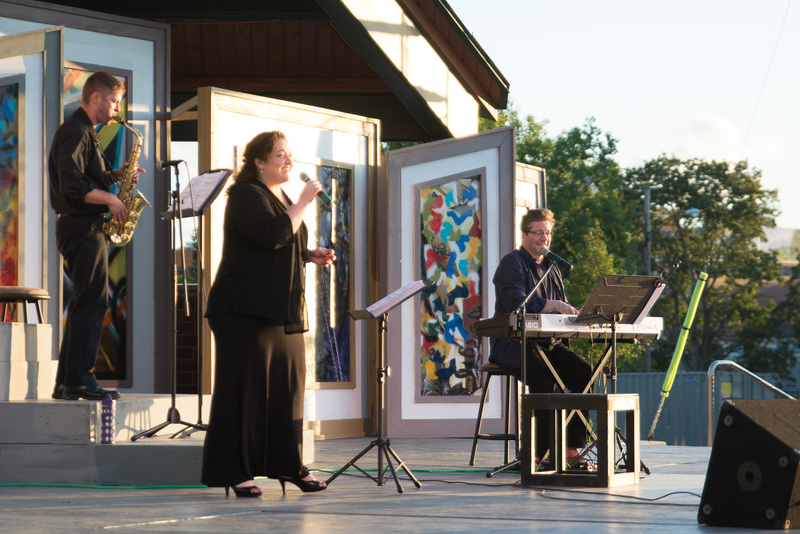 Samantha Talora & Ron Ramsay, inspired by their shared love of decades of Broadway music, the Great American Songbook, classic standards and contemporary & popular music, have been weaving harmonies since 2013 in the Berkshires. Oakes & Smith are a musical match made in heaven. The harmonious blend of their voices creates an ethereal sound and unique quality not often heard in today’s popular music. Combining this with soulful songs that they call ‘lyrical and inspirational meditations,’ Oakes and Smith bring forth a sense of wonder, expressing themes of love, creativity, mystery and an appreciation of natural beauty. Hidden within the mountains, hills and valleys of Berkshire County, MA is a Celtic folk duo of pure musical energy; inspired by the many facets that make up the culture, lands and people that are the living embodiments of the music they love. Youngsters aged 9-13 from PSP’s inaugural Camp Shakespeare will perform their version of “The Tempest”! A prolific lyricist, Erin Laundry often draws inspiration from her love of nature or social injustice. Her repertoire is full of songs that delight, performed tastefully on acoustic guitar. A musician with deep roots in country blues. Eli writes, sings, and plays in and around his home region of Northampton, MA. In 2010 the Boston Blues Society chose him to represent them in the Youth Showcase at the International Blues Challenge in Memphis, TN. Long Journey performs original material and old folk songs. Amrita Lash (Vocals) Karl Mullen (guitar & Banjo) Eileen Markland (Vocals & Fiddle). The Berkshires-based singer and songwriter returns to Pittsfield. The duo returns to the Common stage with selections from Great American Songbook, classic standards and contemporary & popular music.